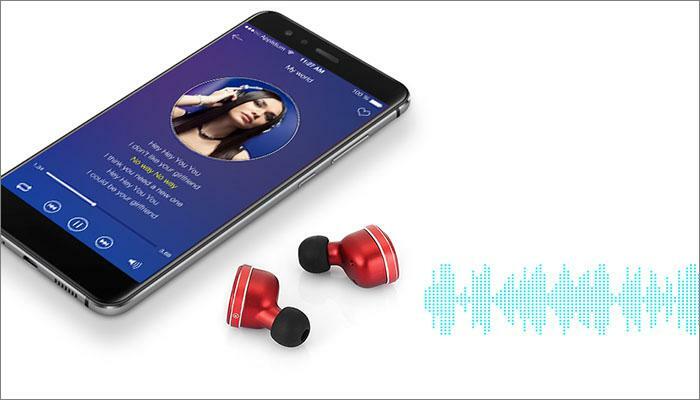 True wireless headphones is the name given to the earbuds that are 100% wire-free. While we have already got used to the idea of Bluetooth headphones, which are not connected to music playing device itself, those still had a small cable connecting the two together. With the Alfawise mini true wireless earbuds, you pretty much have the AirPods experience, at least when it comes to design. What are the mini earphones capable of? Let’s find out. 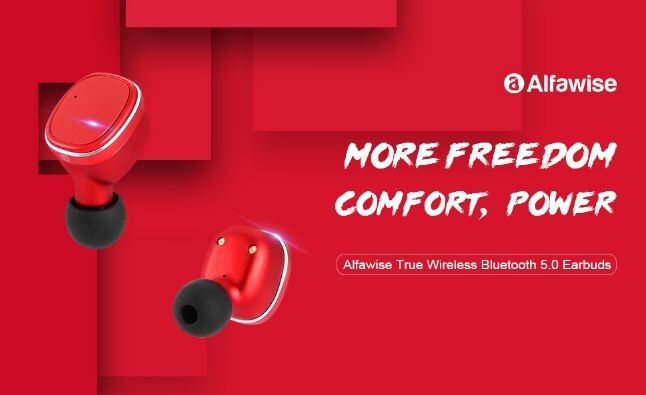 First, let’s enjoy a video display about Alfawise Mini True Wireless Bluetooth Earphones. The Alfawise earbuds come in a handy little case that also serves as their charging station. The only thing you will need to do to charge the earbuds is to put them back in the case and connect the charging dock to a power outlet. But let’s get back to the earbuds themselves. As mentioned above, what you get here are two independent earphones, not connected to each other by any cable – the communication between the two earbuds is all entirely wireless. The ultimate goal with this is to give you more freedom of movement. With no wires getting in the way, you should be able to feel less restrained in your movement, which makes the headphones especially suitable for workouts. Thanks to the ergonomic design, the earbuds will sit comfortably in your ears and will stay in place no matter how active your exercise routine gets. The buds themselves are made from plastic, but they do not feel cheap. Plus, thanks to the chosen material, the earbuds are very lightweight (just about 5 grams each) — they would have been significantly heavier if, say, metal was used instead of plastic. Another selling point is that the earbuds are made with the anti-perspiration material, which, again, makes them a great option to accompany your physical activity. They also look quite good in the ears and can even pass for a fancy new accessory. Unfortunately, though, the earbuds don’t come with any type of protection against the elements – an IP68 rating would really be a very welcome addition. Looking at the price tag of just $25.99, we wouldn’t think that the earbuds would be especially impressive when it comes to sound quality. However, we were pleasantly surprised. You get a strong maximum volume and good basses. But that is not to say that it’s not without faults: the high frequencies are, at times, not sufficiently highlighted and there is a sense of congestion in the midrange. There is an easy fix, however: use the built-in equalizer on the device you are using to play your audios or use an equalizer app. 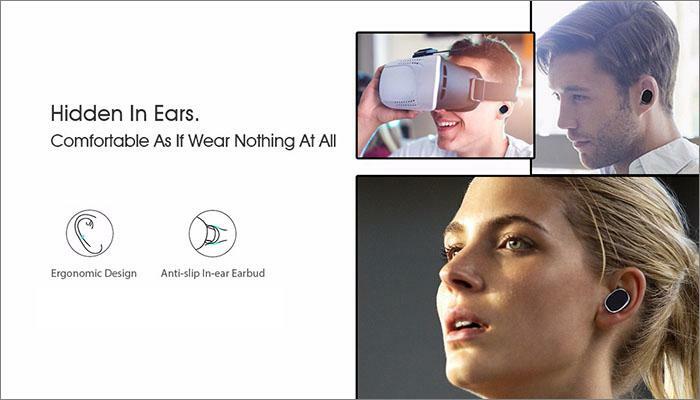 The earbuds are using the latest version of Bluetooth wireless connectivity and it’s very noticeable in the way the earphones work. You rarely get any sort of delay with image and video and sound transmission is pretty much impeccable – both from device to phone and in between the two earbuds. As we’ve pointed out at the very beginning, the earbuds come with a handy case that also serves as a charging dock. The capacity of the charging dock is 2100mAh and each earbud comes with a mini 45mAh built-in battery. 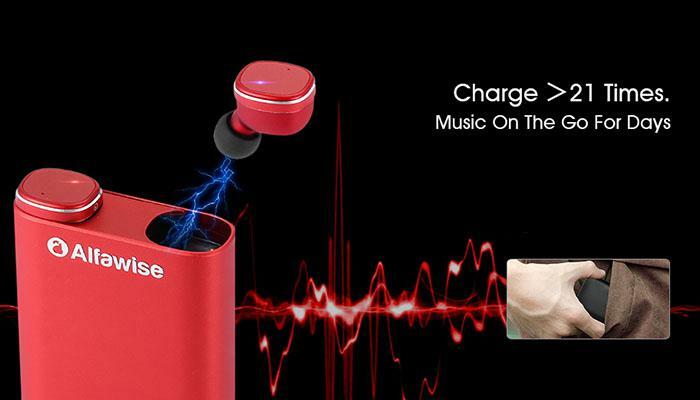 Charging the earphones is very easy as you just need to place them in the dock and the magnetic connectors will make sure they get charged up. The charging dock can also double as a power bank for charging other small electronics and even your smartphone. Once fully charged, the earbuds are good for three hours of non-stop use. This, in our opinion, is not a lot. While three hours is plenty of usage time for a one-time workout, recharging your earbuds frequently can get quite annoying. A small hack here would be to only use one earbud at a time. 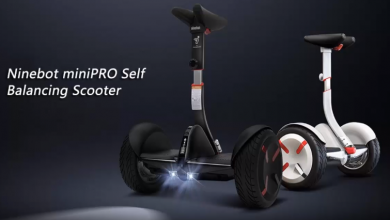 This way, you will be able to double the usage time on one charge. The Alfawise true wireless earbuds come with a lot to offer — especially for the price. 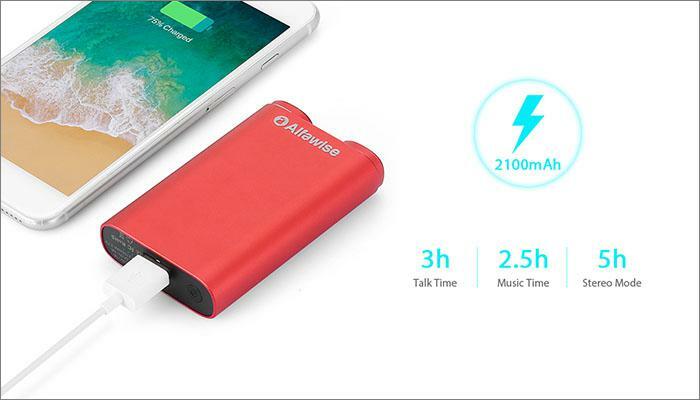 There is the very decent sound quality, completely wireless operation, fashionable ergonomic design, smooth Bluetooth 5.0 connection, and a cool charging case. There is not waterproof protection and the battery life could be better — but the latter is a common problem for wireless devices. If you compare the Alfawise truly wireless earbuds to the more expensive models, there will not be that much noticeable difference in quality and wear — so on the value for money side, these mini earbuds pretty much have the competition beaten.